One of the most contentious issues within Islam today is the role of women in society. Conservatives endorse a narrow reading of Islamic texts to justify restrictions on women's mobility, legal rights and access to the public sphere, including health care, education and the workplace. Extremists among them use violence to impose their views. Moderate Muslims, on the other hand, find plenty within the Qur'an to support a full role and equal rights for women. The outcome of this struggle matters enormously. Attitudes toward women increasingly represent a stark fault line between those promoting economic reform, human rights, and democratization on the one hand, and those who adhere to austere, fundamentalist notions of society on the other. In my new book, "Paradise Beneath Her Feet: How Women are Transforming the Middle East," I see signs of hope that across the Muslim world, women and men are coming together to push for a more progressive Islamic discourse to promote gender equality in an emerging movement of Islamic feminism. One question I get is why is there a need for Islamic feminism - isn't secular feminism sufficient to push for women's rights? Well, the most conservative countries of the Middle East do not now have, nor will they in the near future, secular systems. Moreover, secularism - meaning the separation of mosque and state - is not viewed in a positive light by millions of Muslims. If Muslim women in these countries must wait for a secular system to improve their status, they will be waiting a long time indeed. That does not mean that secular feminism and Islamic feminism cannot work together. Indeed, some of the most effective women's rights campaigns in the Middle East in recent years have seen a blended approach between secular and Islamic feminism. Take the reform of the family code (mudawana) in Morocco in 2004. For years, women activists (largely secular) tried to overturn many of the discriminatory aspects of Morocco's family code. Yet, when they protested the code, they were labeled as kafirs (unbelievers), and attacked as being anti-Islamic. Undeterred, they launched a formal campaign to reform the mudawana. To showcase the local authenticity of their efforts, they collected signatures from ordinary Moroccans. At the same time, they turned tactically to Islam to bolster their case, working closely with reform-minded clerics to show their supporters and critics alike that Islam supports the equality of men and women. The signature campaign was a huge success. By 2003, women's groups had collected an eye-opening one million signatures from Moroccans all over the country. With this grassroots support and backing from King Muhammad VI, the country's king, the women pushed through parliament a series of reforms that included raising the marriage age to 18, restricting polygamy and settling divorces in court. Women's groups across the Middle East have been inspired and mobilized by the success of Moroccan women, organizing similar campaigns in their countries. The most notable spin-off effort is the One Million Signature Campaign in Iran, modeled explicitly after the effort in Morocco. Despite government efforts to repress the campaign (its leaders have been harassed and jailed repeatedly, its publications and Web sites shut down), the movement continues to spread and gain adherents. Today, senior Iranian clerics, like Grand Ayatollah Saanei, support the women's arguments for reform on religious grounds. 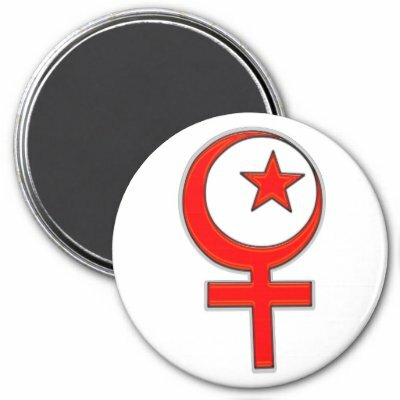 Another question I get is how widespread is Islamic feminism? My answer is that while it is not yet a robust international movement, it seems to be moving in that direction. In 2009, hundreds of women (and some men) gathered in Malaysia to launch Musawah - a global organization designed to push for equality within the Muslim family. Musawah declares this goal important not only because so many Muslim family laws are out of touch with the reality of modern life, but because they are not defensible on Islamic grounds. Around the world today, I see more and more examples of people using Islamic arguments to overturn repressive laws and to push for a fuller role for women in society. Even in Saudi Arabia, arguably "ground zero" for conservative Islamic interpretations that restrict women's rights, there is now an active public debate over whether Islam requires the gender segregation that defines life in the Kingdom today. When a senior government cleric suggested on television last fall that the mixing of the sexes at the newly opened King Abdullah University for Science and Technology (KAUST) is against Islam, King Abdullah fired him. This spring, several other senior clerics have issued opinions that Islam does not prevent the mixing of sexes in public places like schools and even offices. I am not naive to think that this process of change will proceed quickly, or will not suffer from set backs. But change is happening - driven by courageous Muslim women and men who are fighting back against narrow, restrictive interpretations of their religion that prevent a full role for women in society. From Morocco to Afghanistan, Islamic feminism is stirring. These efforts are part of a broader reform movement within Islam, and hold out the promise of a more stable and prosperous Middle East. Americans should recognize that Islam is not monolithic, that culture can change and support the many women's organizations operating in Muslim countries that are helping to drive that change. Dr. Isobel Coleman is senior fellow for U.S. foreign policy at the Council on Foreign Relations (CFR) and author of Paradise Beneath Her Feet: How Women are Transforming the Middle East.